글라스고, 스코틀랜드의 아가일 게스트 하우스 | 호스텔월드에서 예약하세요. The Argyll Guest House Glasgow offers cheap accommodation. The Guest house is a Victorian 3 star guest house based on 2 levels. Being a small private accommodation, we feel that we have created a happy, homely atmosphere with a number of helpful staff who hope to make your stay as comfortable as possible. We look forward to welcoming you to the Argyll Guest House, (formerly the Angus Hotel) on your next visit to Glasgow. 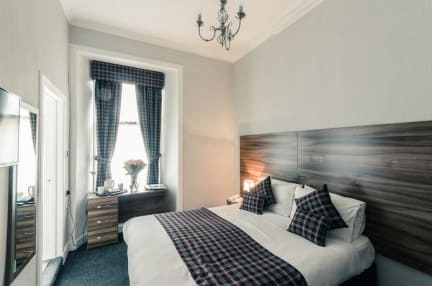 Located on Sauchiehall Street, by Kelvingrove Museum and Art Gallery & Park in the West End, the Argyll Guest House offers ideal accommodation for your stay in Glasgow, Scotland. We are ten minutes walk from the SECC Hydro and five minutes from Glasgow University. We have various different configuration of rooms like singles/ doubles / twins /triples. 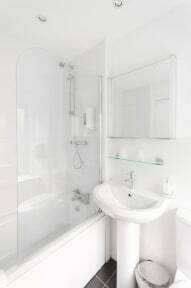 Recently refurbished, each of the 18 bedrooms has en-suite facilities and the added convenience of colour television, clock radio, hairdryer, direct-dial telephone and beverage tray. Dry cleaning and laundry services are available for guests always on the move. Internet and e-mail access available. Breakfast not included - £8.50 per person.